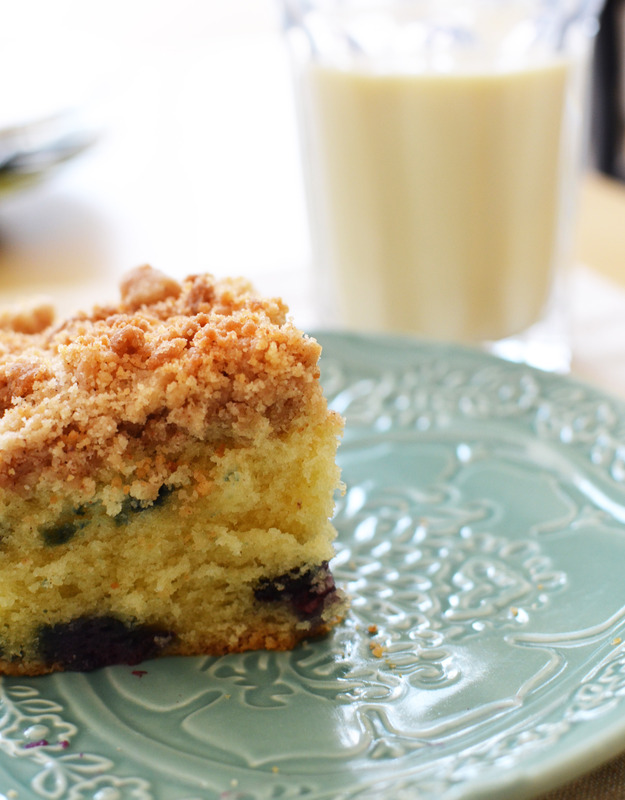 Baked goods with blueberries are my weakness. Raw blueberries aren’t my favorite things in the world (too sour), but I am a complete sucker for anything baked with blueberries. Blueberry season in California starts around May, so I’ve been seeing more blueberries at the grocery stores lately. Recently, I felt as if they were calling out to me. But what to do with them? 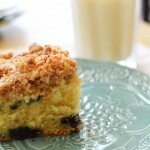 Very soon it became clear – Ina Garten’s Blueberry Crumb Cake. The recipe is foolproof and absolutely perfect. I did make one minor change. Ina’s original recipe calls for lemon zest, but I decided to forgo it. This cake is perfect for any brunch, lunch, or tea party. It is easy to make and tastes heavenly. It is so moist and soft. I can’t talk about it without drooling or blog about it without eating a piece at the same time. Eventually you’re going to want to abandon your cooking utensils and mix with your hands. I checked on my cake at 40 minutes and it still wasn’t quite ready, so I let it hang out in the oven for 10 more minutes. The top was very brown already so I covered it loosely with foil to stop it from browning anymore. Cream the butter and sugar with an electric mixer on high speed for 4 to 5 minutes, until light. Reduce the speed to low and add the eggs 1 at a time, then add the vanilla, and sour cream. 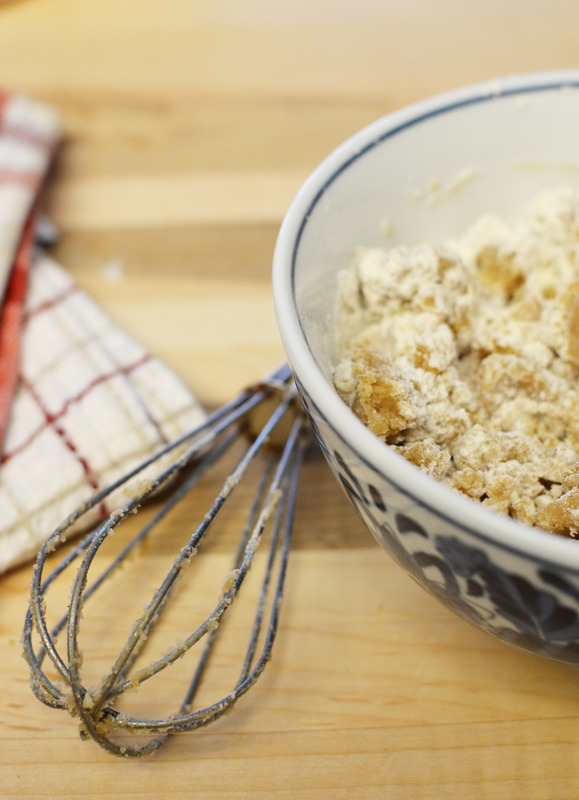 In a separate bowl, mix together the flour, baking powder, baking soda, and salt. With the mixer on low speed, add the flour mixture to the batter until just combined. 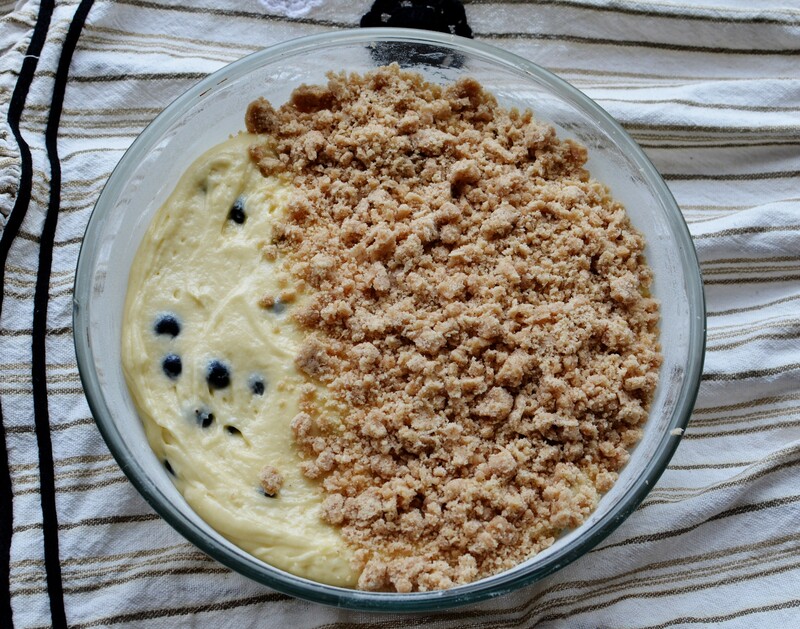 Fold in the blueberries and stir with a spatula to be sure the batter is completely mixed. Spoon the batter into the prepared pan and spread it out evenly. 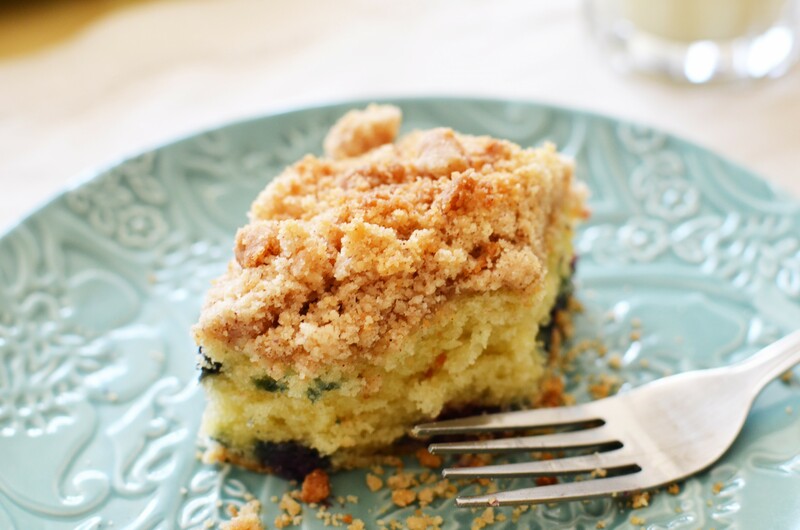 With your fingers, crumble the streusel topping evenly over the batter. Bake for 40 - 50 minutes, until a cake tester comes out clean. Note: If the cake is very brown, but needs to be in the oven for a little longer, cover it with foil to prevent it from browning more. This entry was posted in Breakfast, Desserts & Sweets and tagged cupcake & cake.